During controlled exercises we are able to obtain objective data on how well athletes and clients move. Subtle differences in movement that are not detectable through direct observation are measured and highlighted by ViPerform. Assessments identify athletes and clients that are at risk of injury, to provide baseline data that can be used to assess when an athlete or patient has fully recovered from an existing or future injury. We have used ViPerform to screen the Jersey Cricket Team. It can also be used to screen potential recruits. ViPerform leads to efficient utilisation of club resources and may improve athlete longevity. Provides objective data about hip flexion, lumbar flexion, core control and pelvic stability. Typically used to baseline team players, customise and track conditioning regime as well as provide markers for rehabilitation following injury. The controlled exercises include In-Line Lunge, Overhead Squat and Hurdle Step. Knee stability testing is common place in elite sports, but for the first time, ViPerform enables true objectivity to enrich the use of these tests. There are two tests to examine and track the stability of the knee, single leg squat and dynamic hop tests. Active and Passive hamstring tests to provide data about hamstring behaviour. Typically used to determine objective data on the rehabilitation status of the hamstring muscle. This app allows assessment of passive flexion, extension, internal and external rotation of the hip efficiently and with a high level of accuracy. It measures the range of the hip by placing the movement sensors on the distal femur. This involves a quick series of tests to measure Flexion, Extension, Lateral Flexion and Pelvic tilt Range of Movement. 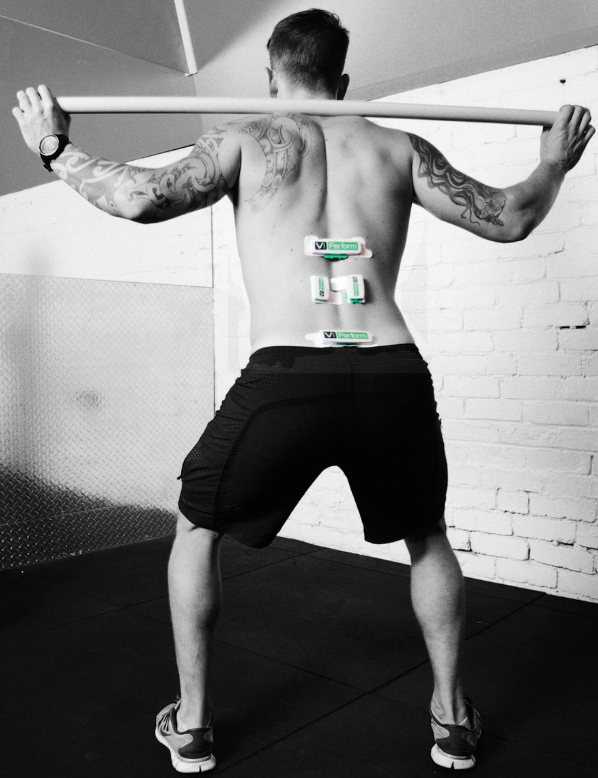 The test is designed to provide an objective measure for Range of Motion of the lumbar spine. Typically used to baseline, provide guidance on conditioning regimes required for the player and to track rehab following injury. We will test Flexion, Rotation, Lateral Flexion, Upper Cervical Flexion, Protraction, Retraction and Sitting Postures. We will measure your range of movement patterns.